Item Description Skinner wrote out a manuscript copy of his reel Gladstone on the other side of this advert, attached a lable to it, and sent it in the post to his pupil, James McPherson of Kirriemuir, Angus. 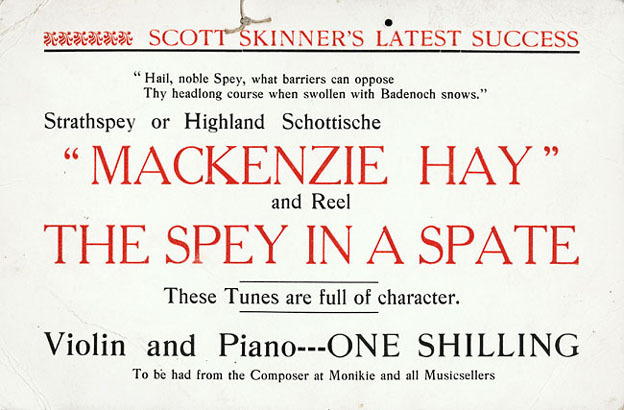 Typical of Skinner, this advert promotes his own music! He was never one to lose an opportunity to promote himself and his music.